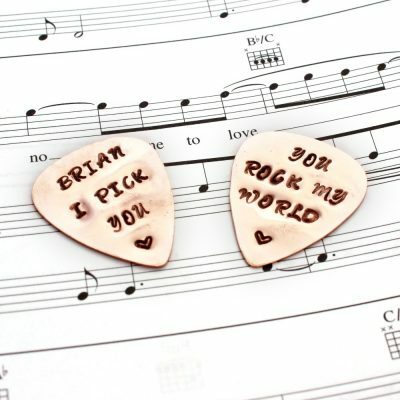 A personalised brass guitar pick, hand stamped with your own message! A perfect gift for a guitar hero! Please note: Personalisation spaces include characters & spaces, hearts & stars. The pick can hold up to 20 Characters and a cute little star or heart spread across 4 lines.! 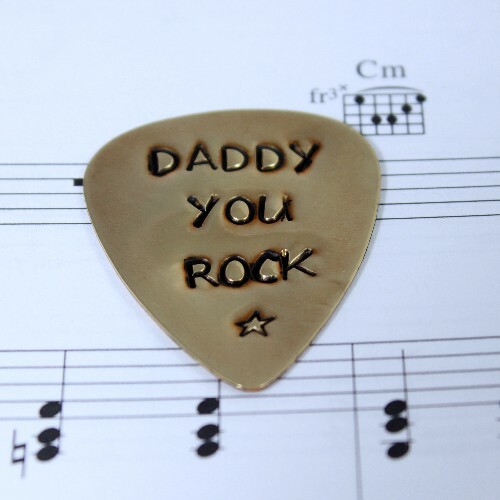 This personalised brass guitar pick is the perfect personalised gift for music lovers. 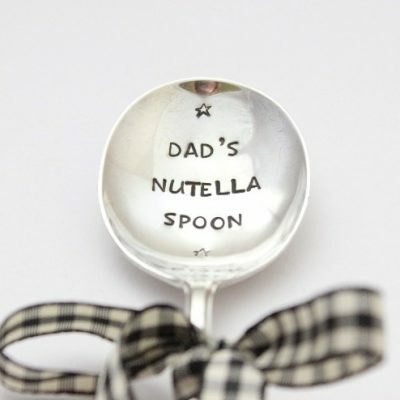 A unique gift for a new Daddy or a Father’s Day gift idea including a message from your little ones. 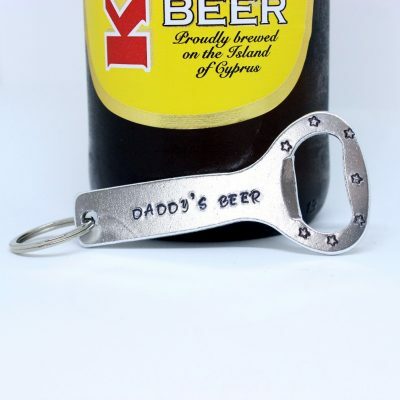 A personalised Valentine’s Day gift idea or special Birthday gift for a loved one. 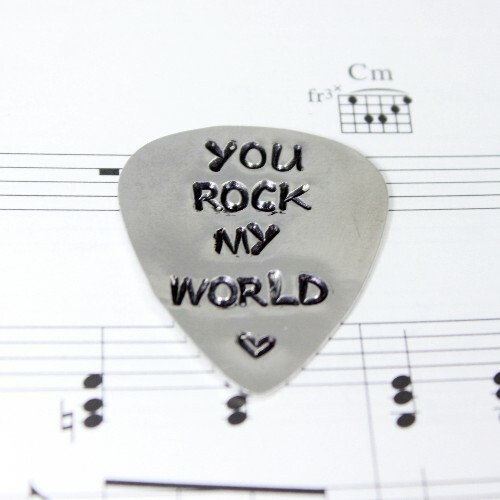 This stylish guitar pick makes a unique gift idea for Dad or a boyfriend or fiancé or guitar lover! Each letter is stamped individually by hand, which means no two pieces will be the exactly the same. Please note all of Impressions to Keep stamped pieces are done with care and by hand, meaning there may be some differences in spacing, alignment and shading, making each piece unique and with a character of its own! Impressions to Keep will arrange the wording of your message on your personalised guitar pick as best fits the item you wish to personalise. If there is a particular way you would like your wording to appear, please get in touch.